Aerial + Drone shots that provide unparalleled views of your project. 360 & Aerial Panoramas READY TO START YOUR PROJECT? Drones serve as a powerful tool at the design, construction and completion phases of projects. During the design phase, our fully-customized drone can capture the exact views for prospective high-rise units from any height in any direction. During construction, capturing detailed site plan images and aerial progress videos in mere minutes tracks the project’s headway. At completion, highlighting the various features of your projects and demonstrating how the project fits within its surroundings provides context for prospective buyers. 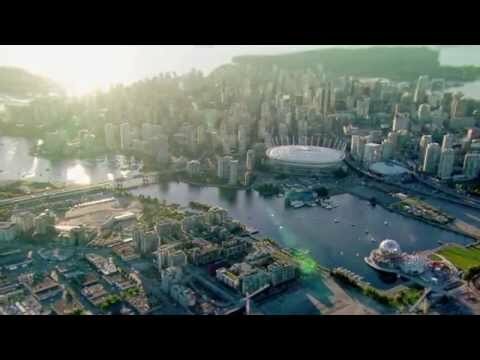 We are insured and fully licensed by Transport Canada to operate UAV’s commercially in the Pacific region. High-end professional video production + media management. Broadcast Corporate READY TO START YOUR PROJECT? Since inception, we have provided content and broadcast management services for a range of different networks, involving millions of viewers. We enjoy sharing our expertise through strategic partnerships. Our video production services create commercials and corporate videos that seamlessly meld branding and creative vision together. Through a thorough consultation process, we ensure that strategic objectives are executed flawlessly for clients — imparting exactly the desired messages for target demographics. We have a proven track record of working with prestigious companies — ensuring our mutual success. We’re artists, designers, engineers and dreamers. Design + Strategy READY TO START YOUR PROJECT? The Design team at LNG offers services for corporate identity, web design and development, print design, and art direction. We are a team of driven designers, aiming to provide innovative, effective and exceptional design solutions. We cater to the distinct needs and wants of our clients, involving them from start to finish in the creative process. Contact us today to discuss your project needs. Visit lngdesign.ca to see more work. Experience any location from anywhere with Virtual Reality. Virtual Reality READY TO START YOUR PROJECT? Our clients can explore the custom-built environments and applications we create, viewed through Virtual Reality (VR) headsets and Augmented Reality (AR) applications. The immersive experiences we create with these disruptive technologies bridge the gap between conception and reality. Any user with a smartphone can view these realities at their fingertips. Let's start with VR: we create our VR experiences as dynamic web-pages, viewable on standard mobile web browsers (Chrome, Safari) with no specific downloads or apps required. Once loaded on a browser, you can view the experience in 360-degrees on your device's screen or, by inserting your smartphone into a mobile VR headset. Room-Scale VR allows for a truly immersive 1 to 1 experience. This unique motion tracking platform allows the user to physically step into a design and walk through a virtual world. Each step in the real world is replicated in the virtual world allowing for a natural, intuitive and extremely realistic experience. We create mobile AR applications that form a digital layer on top of the real world, as seen and applied through your camera view. AR apps remove the need to measure spaces in your home before buying furniture, and they can help you find your way through massive indoor and outdoor complexes with a wayfinder. This AR "layer" we create uses new and experimental technologies, and the possibilities for this technology are still endless, making mobile AR apps the next explosive trend that we believe will greatly impact our lives. Our AR solutions on Microsoft's Hololens, a self-contained, holographic computer are viewable in real-time by anyone else wearing the same hardware. These solutions, create experiences that go beyond the screen and allow us to overlay complex 3D models and holograms into the real world with which can interact. Our Virtual and Augmented Reality experiences create memorable impressions on users and empower consumers to make their buying decisions with confidence and excitement. Founded on the latest technologies, the immersive nature of VR and AR has propelled the sales landscape beyond imagery, video, and text. Never before has it been possible for a consumer to truly ‘see’ the products they are evaluating - until now. 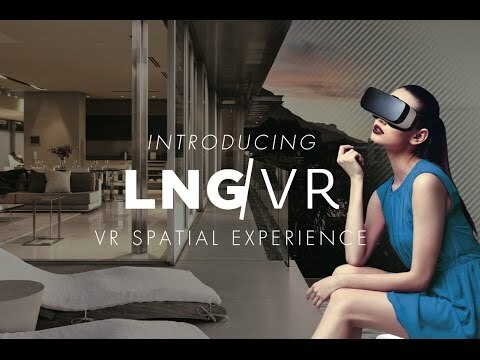 LNG Studios are a proud member of the VR/AR Association. Check out their website to learn more. Captivate your audience with an immersive, interactive experience. Interactive READY TO START YOUR PROJECT? To support our clients with being on the leading edge of their industries, we design and develop iOS and Android apps using HTML5. These apps provide interactive destinations and engaging wayfinding with an intuitive custom design resulting in a rich and modern experience for users. LNG is the official reseller of the Multidea Touch Table and Wall Touch Screen. With powerful integrated PC’s Multidea screens provide the best interactive solutions for your business. Giving your company the ability to create flawless tours, demos, showcasing and more. Allowing you to interactively tour consumers through your pre-construction models, interiors, exteriors or for presentations that will give your clients a clear idea of what future designs will look like. Strategically place a Multidea multi-touch screen within offices, presentation centres or wherever you need to be to create compelling state of the art technology presentations. Multidea combines innovative technology and impeccable functionality. An impressive tool to bring your visions to life. A well arranged presentation removes any uncertainty which is crucial for decision making. Multidea Touch Screens have a sleek design to fit into any space and is easy to use and share with consumers and employees. They're versatility and efficiency is a powerful investment for any business. We produce 3D renderings, floor plans and animations on a global scale. What is a 3D rendering? 3D Renderings Animation 3D Floorplans READY TO START YOUR PROJECT? Our 3D renderings are used to market projects all over the world. We create images that are used to create unforgettable visual demonstrations that impact all the senses. Using the latest architectural rendering software we create entirely 3D scenes. Any type of material and finish can be incorporated to impart the ultimate displays of luxury, quality and photorealistic reproduction. Our clients come from all over the world to utilize our wide range of 3D Rendering services including 3D and 2D architectural renderings, animations and floor plans. Working with architects and designers we create digital 3D models of spaces. Once we have our spaces built we experiment with camera composition, lighting and materials to create entirely custom and bespoke scenes. Our digital process allows us to incorporate any type of specific material or fabric and we can adjust lighting to optimally portray a 3D space. Architectural animation brings real estate to life, allowing buyers to see exactly what they’re getting without having to interpret technical details. It’s as if they are in the homes already – a critical way to build buzz and excitement. In addition to architectural animation LNG Studios also offers 3D renderings, 3D floor plans and architectural visualization services. 3D floor plans and sidecut dollhouse renders are a visual shortcut for people who aren’t used to reading blueprints. They ‘walk’ prospective purchasers through properties, providing a way for them to picture themselves in their dream homes. Not just part of the sales package, 3D floor plans & dollhouse renders will help you sell your project fast!